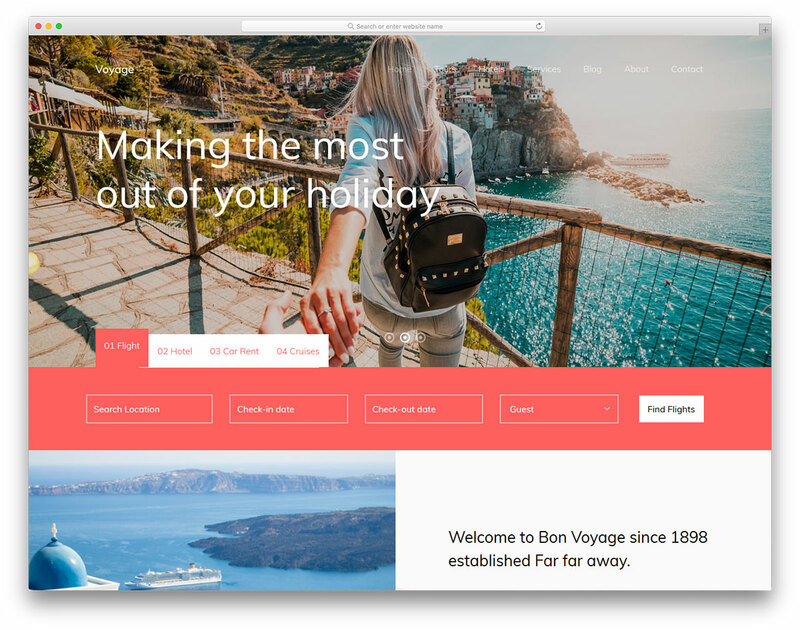 If you would like to differentiate yourself from the masses, Taxa is the free mobile-friendly travel website template that you should consider using. Instead of building the entire web design from scratch, you can now utilize the power of Taxa and save yourself loads of time and effort. 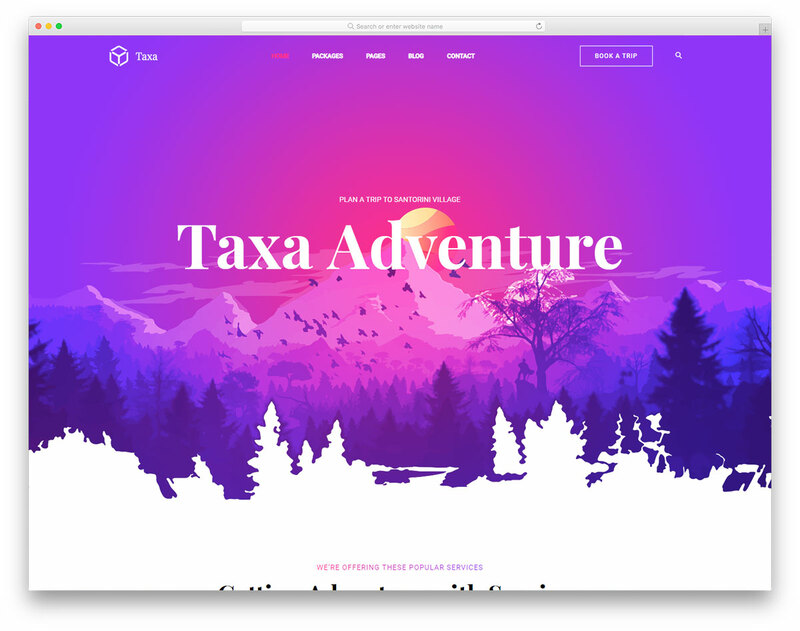 Taxa sports a unique, responsive and attention-grabbing design that will spark interest in everyone that visits it. 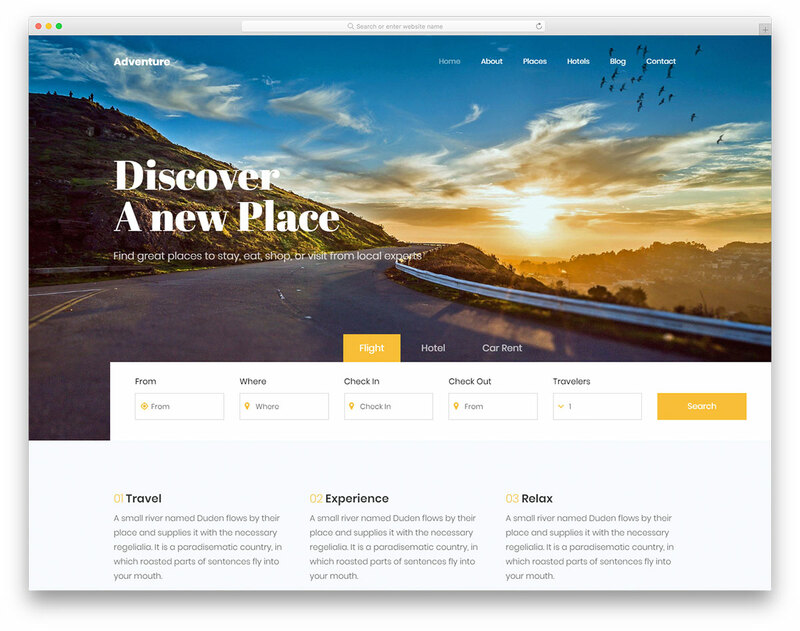 Moreover, Taxa rocks other cracking features, like photo gallery, hover effects, newsletter subscription and neat trip packages page. 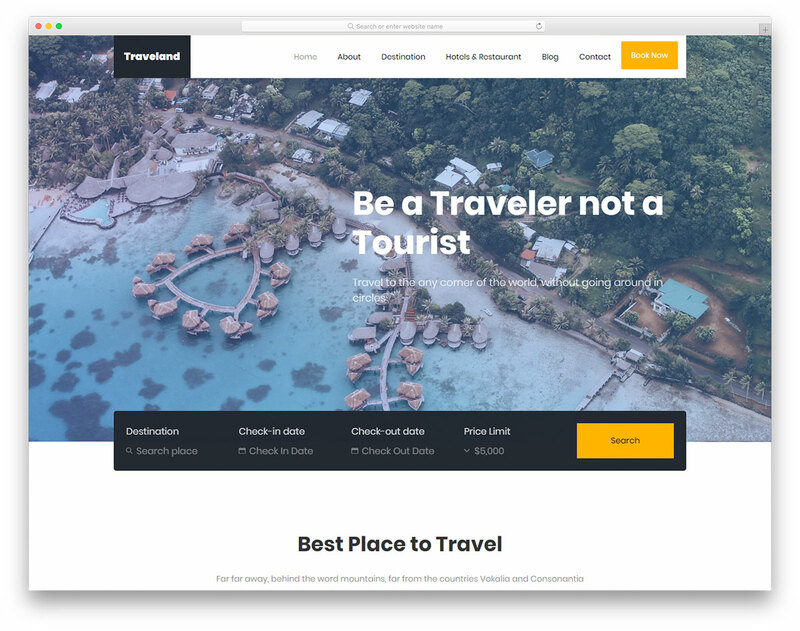 In addition to that, with Taxa, you can also start a compelling travel blog and implement content marketing to scale your business to new heights. For your convenience, Taxa includes a working contact form, Google Maps and Instagram widget. 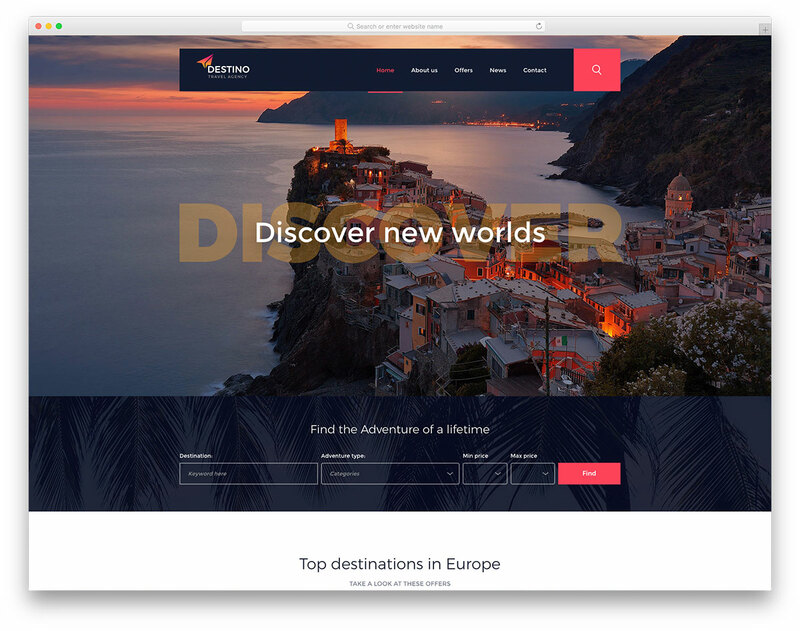 Now get people to take adventurous trips to places they haven’t been yet. Great Design and well coded. 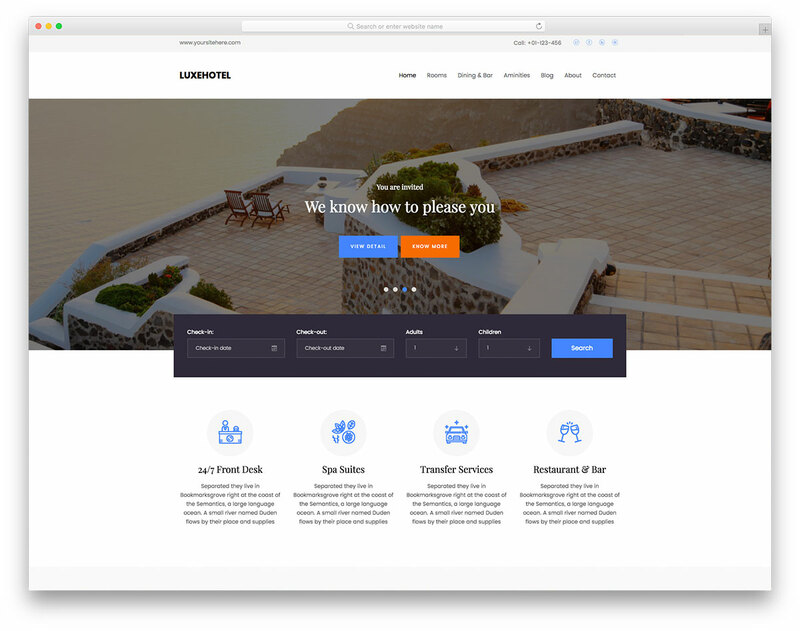 I wish i could convert it to WordPress theme soon. Well done! Colorlib Team.